With it’s architectural wonders, beautiful beaches, vibrant public places and sunny weather this Mediterranean gem offers a plethora of fantastic opportunities for those seeking an exciting city break with a seaside twist. This ‘Mini Guide To Barcelona’ is written for anyone who might be experiencing Barcelona for the first time and looking for tips about locations to visit, getting around and general things to look out for during your stay. Below I’ve compiled six places you may wish to visit while in Barcelona along with some photographs to give you a feel of what you’ll find there. 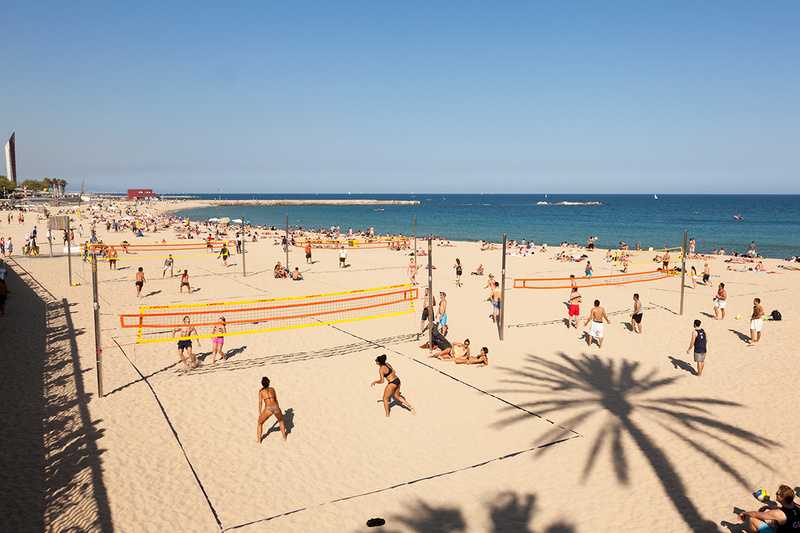 La Barceloneta is a neighbourhood located in the Ciutat Vella district of Barcelona and is best known for its sandy beach. 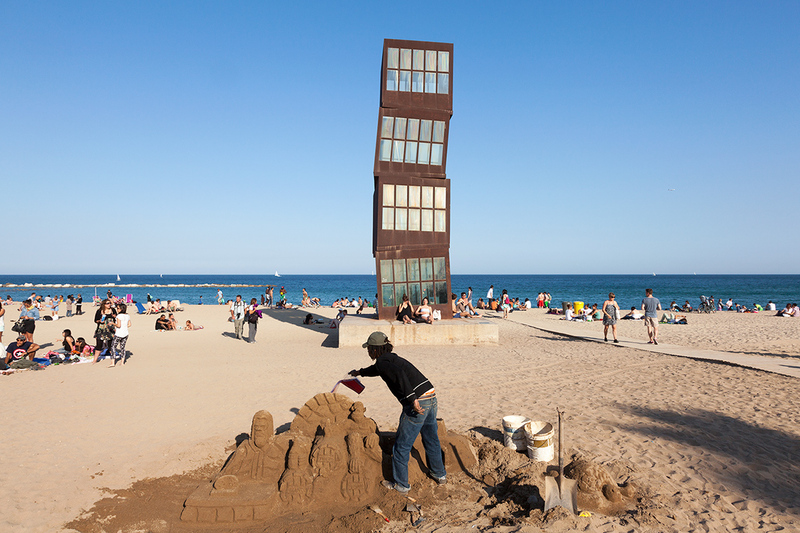 You’ll also find numerous restaurants, nightclubs, street performers and monuments (such as Homenatge a la Barceloneta” by German artist Rebecca Horn) along the boardwalk. 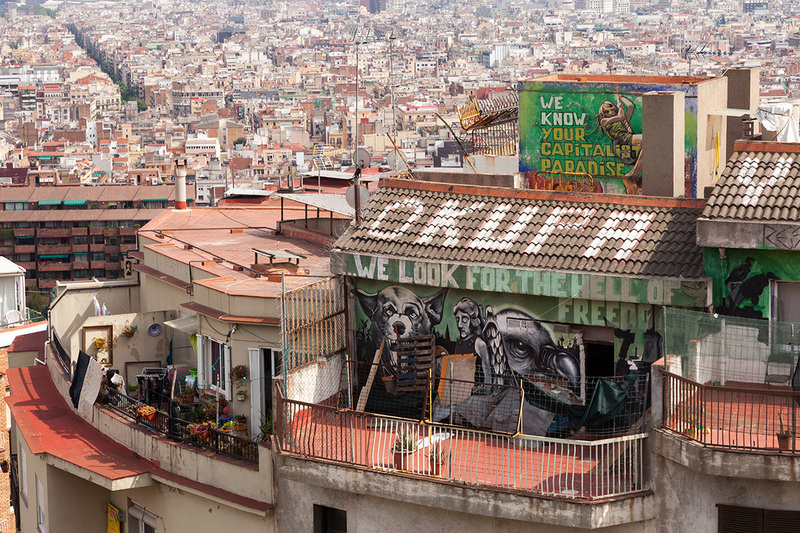 Fancy some breathtaking aerial views of Barcelona? Take a trip on the Teleferico del Puerto (that’s Barcelona’s Port Cable Car) to get an aerial perspective of the beach and La Ramblas before making your way to the top of Montjuic where there are beautiful gardens and more stunning views. A single trip costs €11 and a round trip costs €16.50. The beautiful Gothic Quarter used to be the Roman village and has many architectural gems that speak of its glorious past. 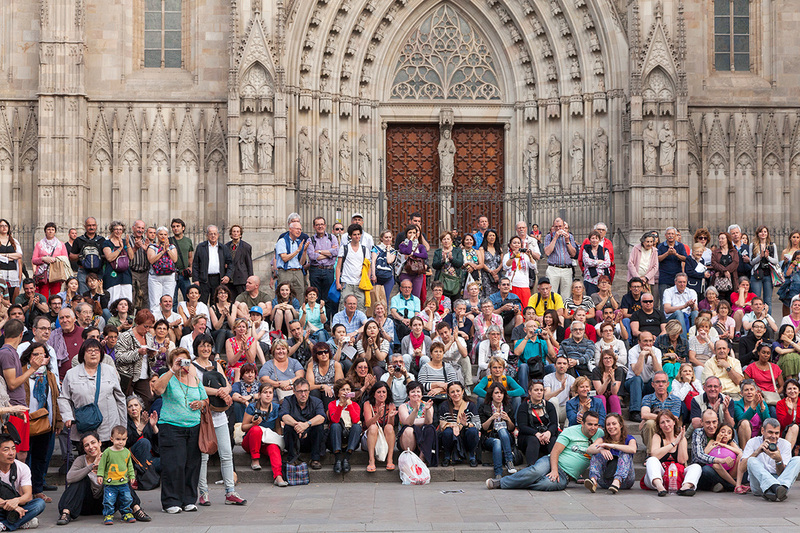 These days there is this mix of old and new that brings people from all over the world to stay in the Gothic Quarter and a trip to Barcelona wouldn’t be complete without a wander around here. Don’t let that put you off, swiftly move on and you’ll discover mosaic-covered buildings, beautiful sculptures, the Gaudi museum & incredible panoramic views. 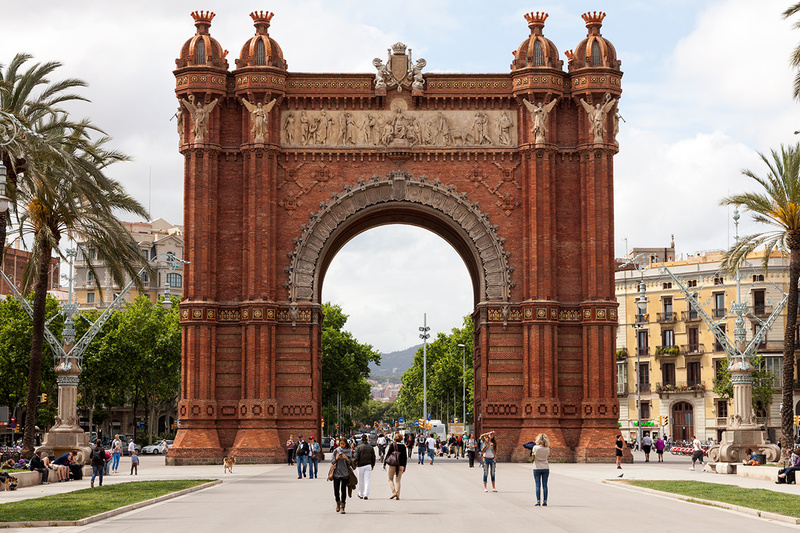 The Arc de Triomf is an archway which can be found on the wide promenade leading to the Ciutadella Park. It was built for the 1888 Barcelona World Fair by architect Josep Vilaseca i Casanovas and was built in reddish brickwork in the Neo-Mudéjar style. The nearest metro stop is named after this iconic landmark and is a lovely place to people watch and enjoy a picnic. If you like this mini guide to Barcelona please support my photography and tell you friends about it. You’ll find social share buttons below and I’d be delighted if you could take a minute to share this post. This entry was posted in Travel and tagged Barcelona, Guide, Photography, Spain.